A rainy Saturday found me cycling around Walthamstow to see the neon signs at God’s Own Junkyard. There was quite a lot of uncertainty about whether they’d have to close after losing their lease so I made it out there on their last official weekend, but thankfully since then they’ve secured a new location not too far away. 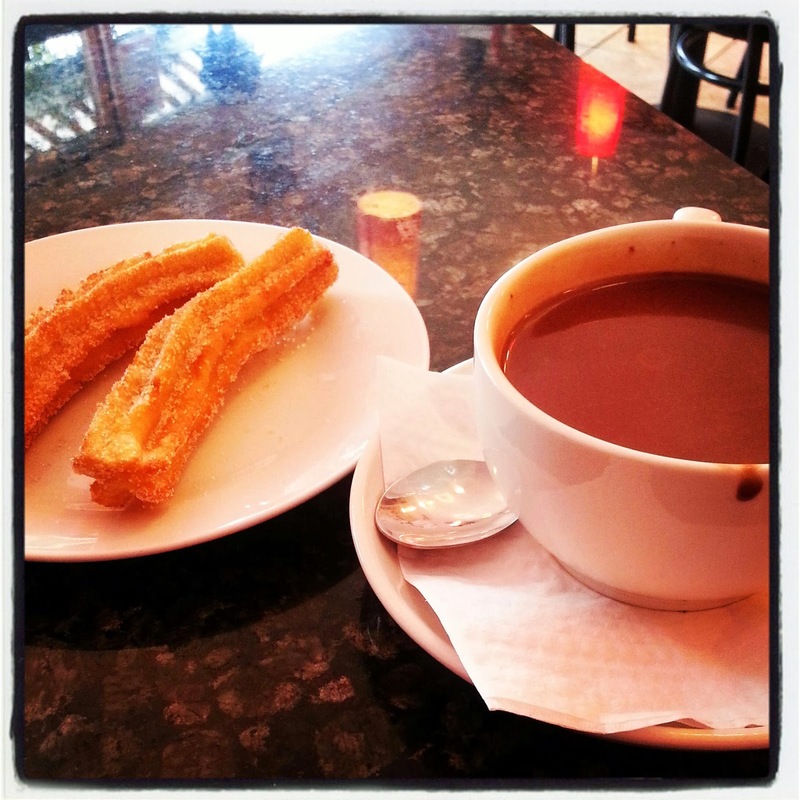 After looking my fill at incredible intricate neon art, I wandered around Wood Street and stumbled across Café Bonito, which serves a mixture of normal café food and Spanish specialties. 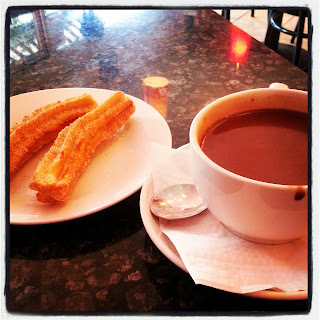 The Spanish hot chocolate with freshly fried churros caught my eye and was the ideal antidote to the dreary skies – I relaxed with a book until the showers passed and then wobbled home, full of warmth and cinnamon goodness.